Regardless of which Star Wars team you thought you're on, if you're going to buy a Death Star USB wall charger, you'll have to root for the power of the Dark Side. The outlet-ready Death Star comes with a pair of USB charging ports, and the galactic superweapon's eye glows green when it's plugged in. Presumably this glow is powered by an LED, not an octet of lasers fixin' to converge and fire. 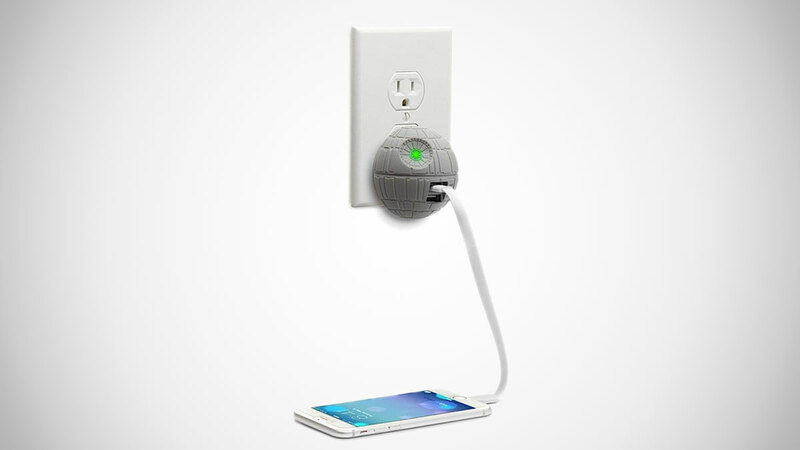 The Death Star USB wall charger is a top Dude Star Wars gift pick.